Help the Cornell Lab and Zooniverse Push Citizen Science Forward! Thank you for participating in Hawk Talk on Zooniverse! We hope that you are having fun watching video clips, tagging data, and learning about the Red-tailed hawks. 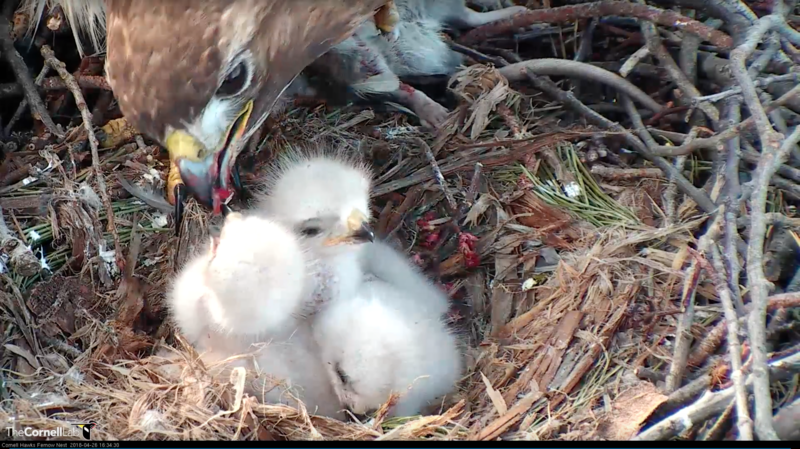 The Hawk Talk activity is part of a larger project we are co-developing with viewers called the Birds Cams Lab. Please consider sharing your Zooniverse ID and email address with the Cornell Lab of Ornithology so that we can gain your feedback and learn from your participation to help improve the program and its outcomes related to learning, participation, and scientific discovery. By opting in, you agree to be contacted with information about Battling Birds and other Bird Cam Lab activities as they are developed. Results of participation, when shared, will be anonymous. The Bird Cams Lab is funded by the National Science Foundation and aims to join together viewers and scientists to make new discoveries using the Cornell Lab of Ornithology’s Bird Cams. Like with any new project, learning about user activity and engagement is vital as we work towards developing a friendly platform for participants. Thank you for signing up today to help us!